Patients with chronic heart failure and anaemia present many diagnostic and management dilemmas. This article discusses the importance of a thorough investigation of the patient. The pathophysiological relationship between heart failure and anaemia is incompletely understood. 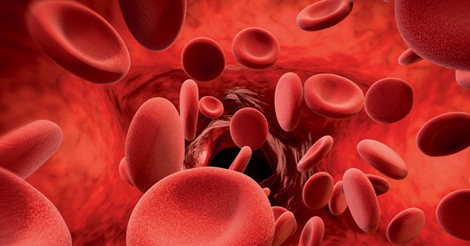 The majority of trials targeting anaemia in patients with CHF have been conducted in patients with heart failure, reduced ejection fraction (HeFREF) and iron deficiency, but definitive data as to whether anaemia is a therapeutic target is lacking. In this review, we provide an overview of the problem of anaemia in patients with CHF focussing on patients with HeFREF. The difference in prevalence depends upon the population studied and definition of anaemia used; prevalence generally increases with age, the severity of LV systolic dysfunction and renal dysfunction. The cause of anaemia in patients with CHF is multifactorial;10 11 a combination of disease severity, comorbidities, poor diet, haematinic deficiencies, and side-effects of treatment (figure 2). Haematinic deficiencies – vitamin B12, folate and iron. Similarly, atrial fibrillation (AF) is a common comorbidity in patients with CHF (38-42%).35 36 45 In the absence of a contraindication such as high bleeding risk, current guidelines recommend that all patients with CHF and AF are treated with oral anticoagulant medications (either warfarin or direct oral anti-coagulant (DOAC)) to reduce stroke risk. Overall, approximately 3 out of every 4 patients with CHF will take either an anti-platelet or anti-coagulant, potentially increasing the risk of sub-acute (and acute) GI blood loss. Current guidelines cautiously recommend coeliac screening in all patients with non-anaemic iron deficiency and GI investigations in “high risk patients” for example, those aged over 50 – which encompasses most patients with CHF. Patients with CHF and anaemia present many diagnostic and management dilemmas –treatment must always be guided by the results of a thorough investigation. Heart failure as the cause of anaemia, particularly IDA, must always be a diagnosis of exclusion. While treatments of iron deficiency in patients with CHF may offer symptomatic benefit, the impact on mortality is unknown. Further work is required. 3. Cleland JG, Zhang J, Pellicori P, et al Prevalence and Outcomes of Anemia and Hematinic Deficiencies in Patients With Chronic Heart Failure. JAMA Cardiol 2016; 1(5):539-47. 14. Colucci WS. Molecular and cellular mechanisms of myocardial failure. Am J Cardiol 1997;80(11A): 15L-25L. 15. Fildes JE, Shaw SM, Yonan N, Williams SG. The immune system and chronic heart failure: is the heart in control? J Am Coll Cardiol. 2009;53:1013–1020. 18. Ferrucci L, Guralnik JM, Woodman RC, et al. Proinflammatory state and circulating erythropoietin in persons with and without anemia. Am J Med. 2005;118(11):1288. 21. World Health Organisation (2015). The global prevalence of anaemia in 2011. 34.Ponikowski P, Voors AA, Anker SD, et al. 2016 ESC Guidelines for the diagnosis and treatment of acute and chronic heart failure: The Task Force for the diagnosis and treatment of acute and chronic heart failure of the European Society of Cardiology (ESC). Developed with the special contribution of the Heart Failure Association (HFA) of the ESC. Eur J Heart Fail. 2016;18(8):891-975. 35. Cleland JG, Swedberg K, Follath F, et al. Study Group on Diagnosis of the Working Group on Heart Failure of the European Society of Cardiology. The EuroHeart Failure survey programme-- a survey on the quality of care among patients with heart failure in Europe. Part 1: patient characteristics and diagnosis. Eur Heart J. 2003;24(5):442-63. 45. Kirchhof P, Benussi S, Kotecha D, et al. 2016 ESC Guidelines for the management of atrial fibrillation developed in collaboration with EACTS. Europace. 2016;18(11):1609-1678. 48. Yates JM, Logan EC, Stewart RM. Iron deficiency anaemia in general practice: clinical outcomes over three years and factors influencing diagnostic investigations. Postgrad Med J. 2004;80(945):405-10.